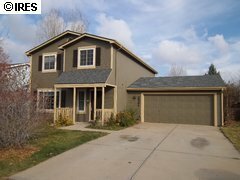 You need to understand the process for home buyers in Fort Collins. There is a lot to prepare before you even look for a Fort Collins real estate agent and it can be a daunting process. That’s why I am here to educate you on the process. First Step: Figure Out How You Are Going to Fund For Your New Fort Collins Home. Obtain pre-approval for a loan which can be done in a few simple steps. It involves a general overview of debts, income and assets. Your lender will need to look at your W-2’s and your current pay stubs for the last few months. This gives the lender an idea of what your mortgage you could afford for your home in Fort Collins. This will help you establish a budget for first time home buyers and veterans too. Inform yourself on every bit of useful information you possibly can about the purchase of your potential new home in Fort Collins and be a home buyer. Start researching Fort Collins neighborhoods. Determine what details you must have in your house, and the type of Fort Collins home you want. If Fort Collins Schools are important to you then do some research on www.greatschools.net. Parents review schools and each school is given a score. From here you can visit the different schools you are interested in and set up tour of the schools. Try to talk with some parents that have students that currently go there. If you are completely unfamiliar with the area (for example: relocating to Fort Collins from another state), then you will rely on your Fort Collins real estate agent for most information. Find out about the mortgage process. Get referrals from your Fort Collins real estate agent. Learn the difference between an FHA (Federal Housing Administration) loan and a Conventional loan and how it can effect your monthly payment. And the difference in down payment amounts, which can be huge. The most crucial part of your Fort Collins real estate hunt. Without knowing exactly what you can afford in your budget each month, you are wasting your time and energy looking at homes that you may not be able to afford. The lender will provide you with this information. HOA or Condo Association Fees. If you plan on moving into a neighborhood that has an HOA (Home Owner Association), then be prepared to pay the required fee every month or quarter. It is also important to know what is included with this fee. At first, it may seem ridiculous for you to have to pay such a fee for a pool. After further investigation, you may find that it probably includes exterior insurance (including roof), cable, water/sewer, and even snow removal. They will consider that during the pre-approval process as it will be part of your mortgage payment. Google Reviews is a good place to get a feel for that person and if you would enjoy working with that person. You want a full-time agent who is a hard worker and knowledgeable about the area you seek. Local knowledge is critical. You need a Realtor that knows the neighborhoods. How Your Realtor® Is Compensated. Your Fort Collins real estate agent is paid through commission only. We do not have an hourly wage or minimum base salary. We are paid by the seller, and only compensated upon closing. During the home buying search with your real estate agent will spend a lot of time spent and gas all on his or her dime. If your real estate agent spends time with you in your search, then it is important to stick with them and be loyal to them the whole way. You need only one real estate agent as they can show you every home on the market in the area you wish. There is no need to contact several agents as this does nobody any good and you will not get a better deal. I hope this helps you with your Fort Collins home buyers process. Feel free to contact me for any information you may have.